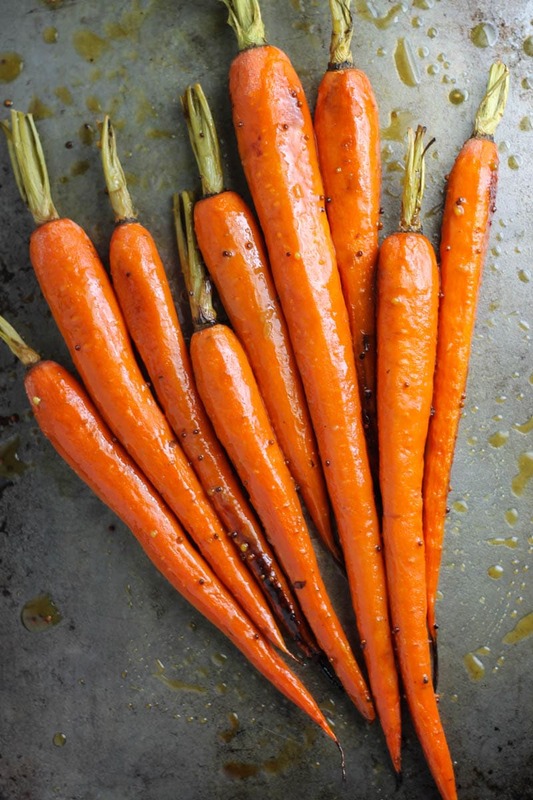 Tender-crisp and colorful, these roasted Low FODMAP Maple Dijon Carrots look elegant, but are easy enough for a weeknight side! And, they’re delish!! 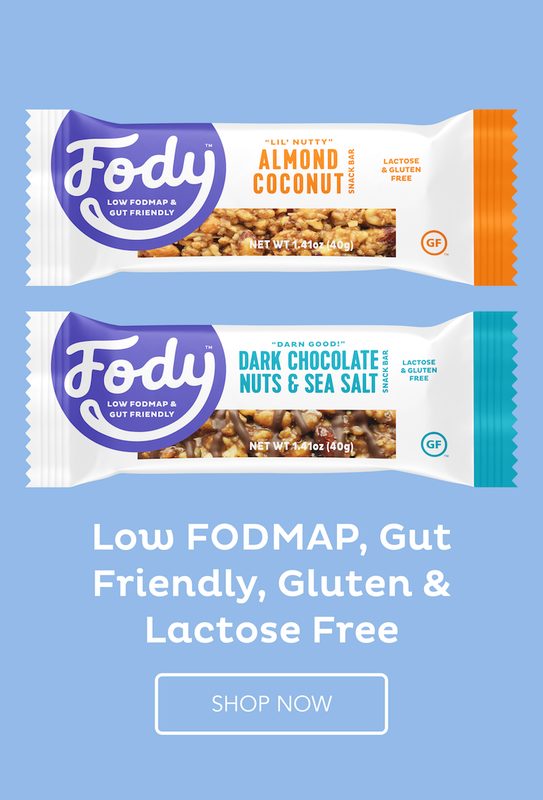 A little sweet, a little savory and a whole lot delicious! 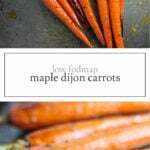 These Low FODMAP Maple Dijon Carrots are easy-to-make and pair perfectly with broiled pork chops or chicken thighs. Whisk together maple syrup, tamari, mustards and olive oil. Divide and toss carrots with half of the maple Dijon mixture. Set other half aside. 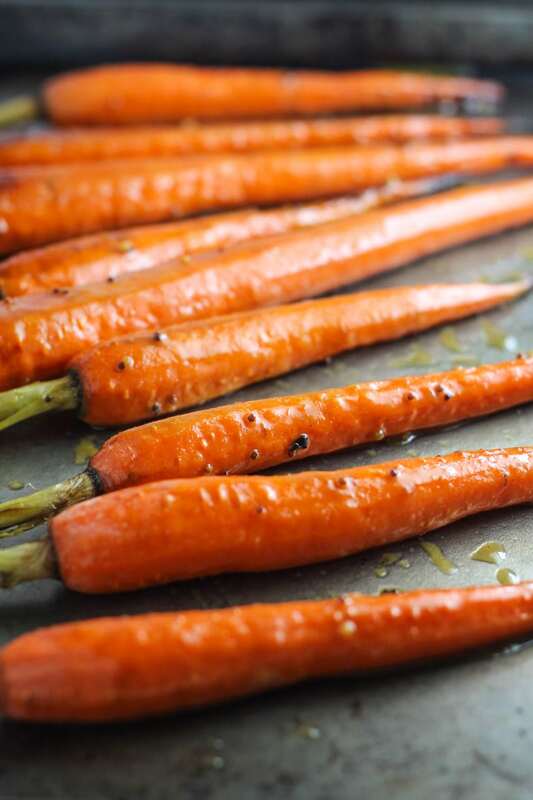 Roast carrots for 20-30 minutes or until golden brown and fork-tender. Toss cooked carrots with remaining maple Dijon mixture and serve.